Working in a kitchen is hard work at the best of times, but cooking in a top-flight restaurant is almost another ball game entirely. For Tim and Sarah Scott, the inspiration behind opening their forthcoming eatery boiled down to the notion that if they were going to risk burnout running a kitchen, it may as well be their own. The duo have enjoyed stints at some excellent eateries across Australia – including Sydney venues Sepia, Automata and Sixpenny – but the allure of having a creative outlet where they could cook food that brought them happiness was too hard to resist. The couple decided to put down the tools for a while, spending time in Japan, cruising around Tasmania in a motor home and living in the Northern Rivers, all the while filtering ideas and inspirations for a passion project that sparked joy. 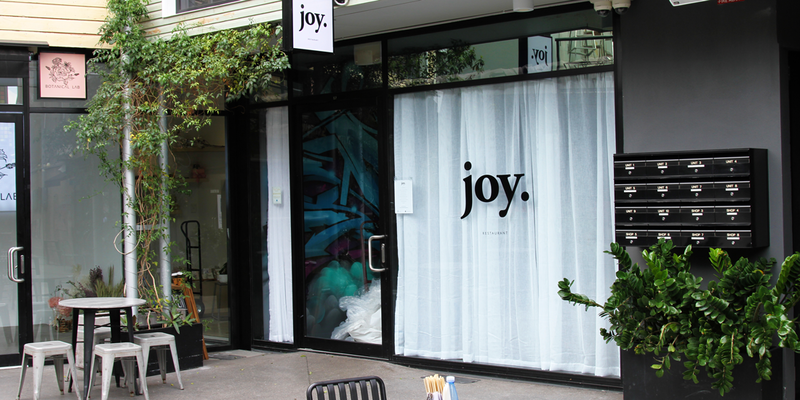 The winning idea was an intimate omakase-inspired venue – fittingly called joy. restaurant – designed, serviced and operated by Tim and Sarah alone. This style of dining – largely uncommon in Australia – allowed the duo to experiment with a free-wheeling approach to dining, where the like-minded couple could cook what they wanted and play with the added benefit of having a symbiotic, constructive and supportive dynamic in the kitchen. Tim and Sarah’s vision for joy. restaurant was always intimate – a small ten-seater venue that allowed for more personal interaction between kitchen staff and diner. Such a concept necessitated a specific site in which to inhabit, one that presented itself early in the search at the rear of Bakery Lane. The former home of I Heart Brownies proved ideal, with a long tenancy offering space for a kitchen that suited Sarah and Tim’s needs. Plans were drawn, keys were obtained and work commenced in the latter days of 2018, with the Scotts overseeing the build (and participating in their fair share of manual labour themselves) to ensure it matched exactly with their measurements. 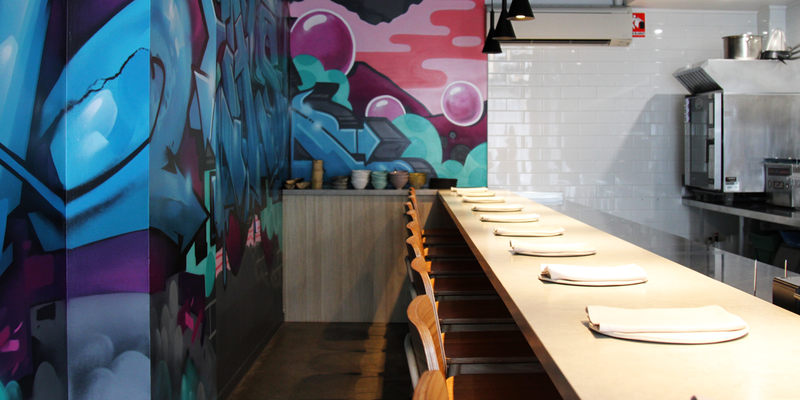 The resulting space is smart and clean, with a comfortable and relaxed energy instilled through a grungy street-art mural (created by artists Meks and Reals) and a colourful array of handcrafted ceramic plates. Diners perch along an eight-metre bench that is moodily illuminated by overhead lights, while before them Tim and Sarah work their culinary magic. As far as kitchen theatre goes, few experiences in Brisbane are as up close and personal. Much like the space, joy. restaurant’s menu has been lovingly curated by Sarah and Tim as a reflection of their own tastes. Menu inspiration was wrought from ideas collated over the years across numerous roadtrip discussions and late-night brainstorming sessions. The duo are equally enamoured with both Japanese and Nordic cuisines, relishing in the similarities between the two disparate styles. Both cuisines favour a refined approach and use of long-held techniques, as well as the tendency to eschew artifice in favour of ensuring everything on the plate has a purpose. The offering is designed to be an experience, with long and short set menus showcasing the likes of confit cuttlefish with zucchini and fragrant herbs, lobster sashimi with garnet plum, umeboshi and yukari, black vinegar-glazed short rib and white fish with roasted bones, wasabi cress and wakame, interspersed with inventive palate cleansers. The complexities of each plated ingredient are enhanced to create a stimulating interplay ­– an exploration of flavour that rewards curiosity. joy. restaurant’s menu will regularly change based on seasonality and the whims of the kitchen. Tim and Sarah liaised with sommelier friend Russ Berry on the drinks selection, with a pairing option also curated to complement the fare. 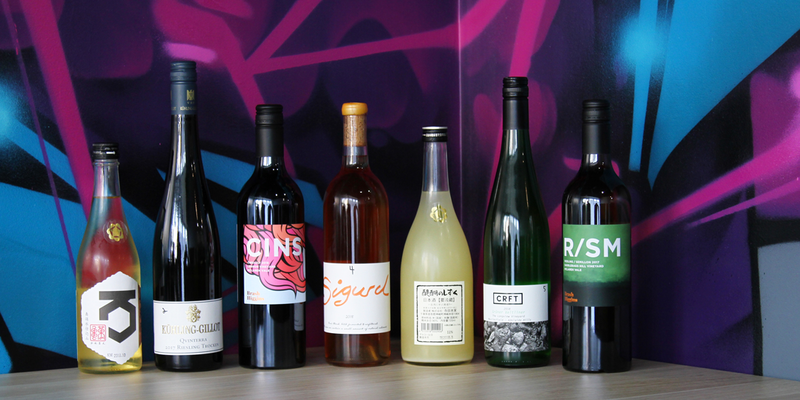 Think sparkling sake, natural Australian and European wines and artisan spirits, as well as a collection of non-alcoholic beverages a cut above the standard offering. joy. restaurant will open to the public on Friday March 22. Many of the opening weekend’s bookings have been snatched up already, but you can register your interest for seatings next week via the website. Head to the Stumble Guide for all the details.